Stock options are a pretty standard remuneration for executives at O’Brien’s level. She has previously been granted a total of 108,963 shares since 2015, which carry a valuation of $18.6 million at current share prices. They vest through October 2022, thereby suggesting that O’Brien will be at Apple for at least another 3-and-a-half to 4 years. While an $8 million bonus is certainly nothing to be sniffed at, however, it’s a far cry from what predecessor Angela Ahrendts received when she stepped into the role. At the time, her stock grants were worth around $68 million — including a signing bonus. Over her tenure at Apple, Bloomberg estimates that she was paid at least $170 million. Unlike Ahrendts, Deirdre O’Brien is an Apple veteran. 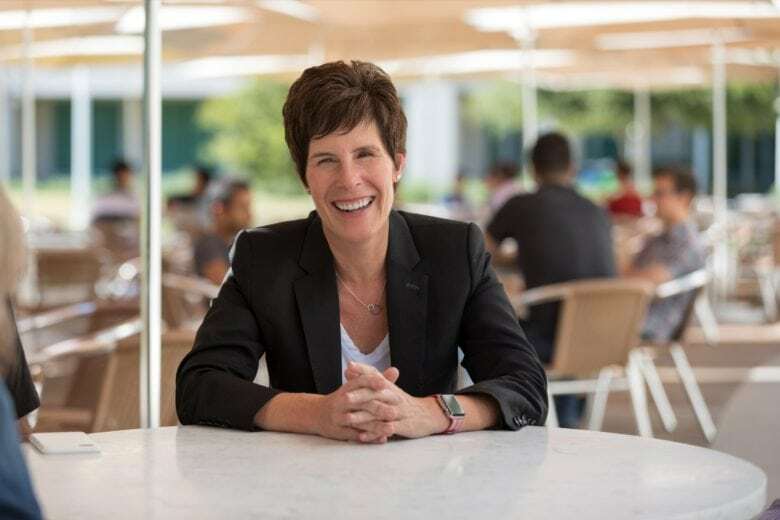 She joined Apple right out of college in 1988. That means that she has been at Apple for an entire decade longer than Tim Cook — and worked under five CEOs during that period. “I was so blown away when I joined the company because, you know, when you first start working you have no idea of what corporations are like, and I loved that when I, a couple weeks into it I thought, ‘wow what I do makes a difference every day. Like, I love this. This is fun.’ And I would say that has not changed. And I love that about Apple,” O’Brien told Cult of Mac founder Leander Kahney in an interview in 2018.